The European starling, with its iridescent glossy-black plumage, is an irrepressible bird. It is forever making noises, of many kinds. True, it will take to flight at the slightest alarm, but it soon bustles back again, strutting along jauntily to show its unconcern! Why some consider them invasive? Many persons dislike these pugnacious birds, and not without reason. They have a habit of descending in flocks when poultry are being fed, and blithely stealing much of the food. Some persons claim that they are kept awake at night by their raucous cries. Starlings can also do a lot of damage to crops. 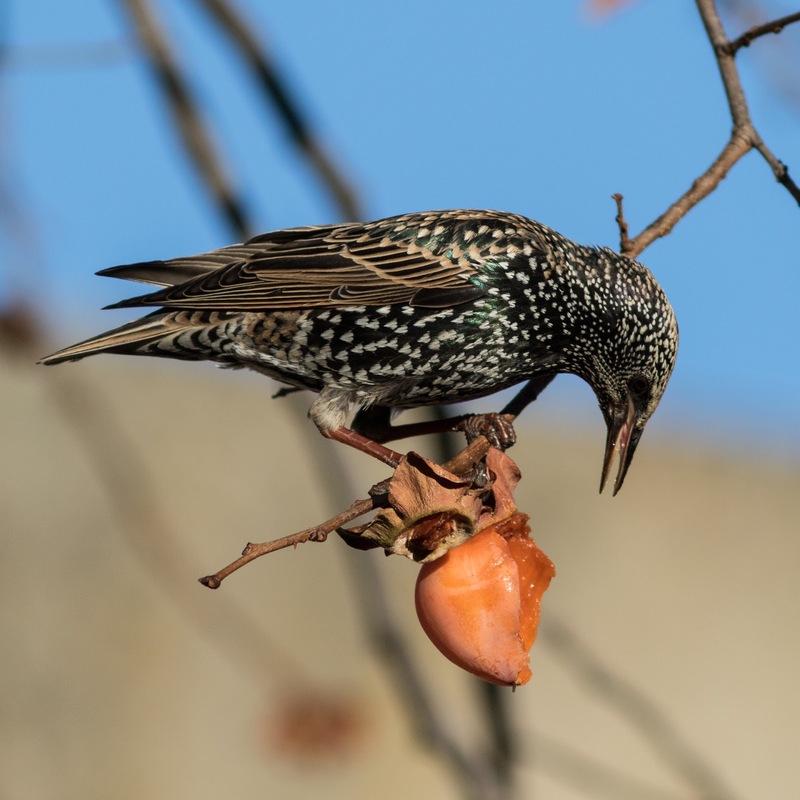 Berries, fruits, corn and other crops suffer from starling onslaughts. Starlings like city life, apparently enjoying the warmth from the big buildings. So in some places they commute every morning from huge community roosts in the heart of the city to nearby countryside areas. There they feed, but at night they return to sleep in their city dormitories. In some cities more than 10,000 birds have been known to roost in a single block, dirtying both buildings and people. 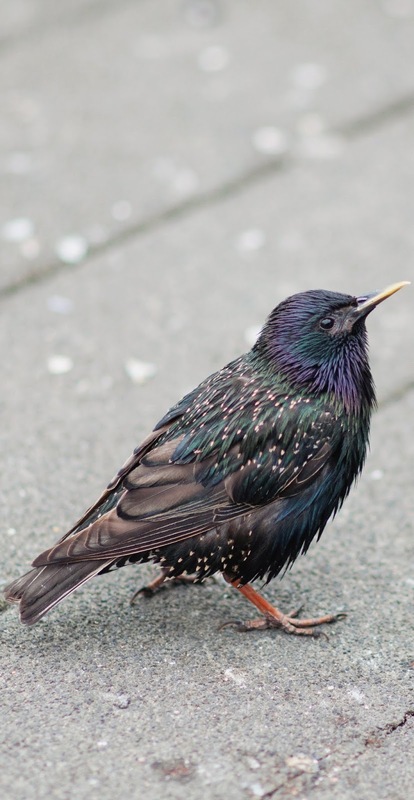 To protect crops and city buildings from these invasions, efforts of all sorts have been made to disperse starlings, nearly all unsuccessful. Authorities have tried fireworks, rubber snakes, gas-filled balloons, electrified wires, bags of smelly chemicals, rattles, wooden clappers, clashing cymbals, supersonic sounds, ultraviolet rays, searchlights, tranquilizers, and many others. One City Council installed a formidable dummy owl with flashing eyes on the ornamental facade of the Town Hall, a favorite roosting spot. With what effect? The starlings simply perched on it! 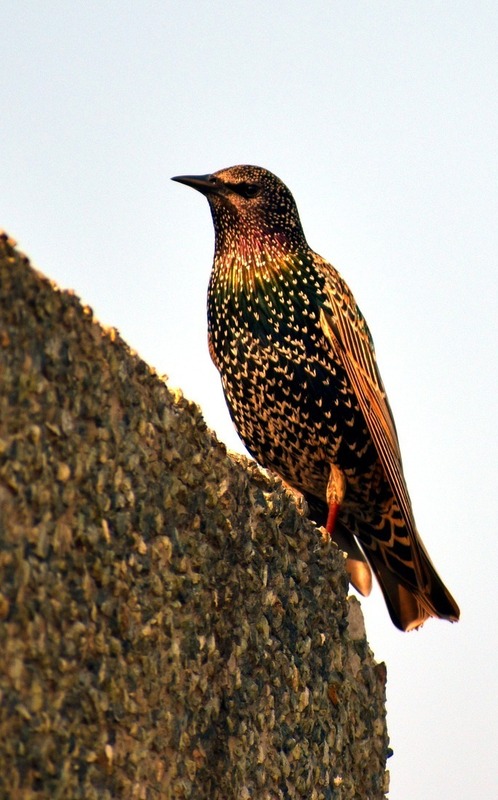 Though starlings are invasive, many authorities are hesitant to recommend total exterminate them. For starlings eat a great number of insects, such as Japanese beetles. It is figured that their value in controlling pests may far outweigh the nuisance that they can be. Furthermore, millions of people like starlings. City people especially derive pleasure from watching their swift and spectacular flight, as they wheel and maneuver almost as one bird. Also, many persons listen with admiration to their numerous and varied noises and songs. Starlings have truly an amazing talent for mimicry. It is said that they can imitate forty-four different birds! But besides that, they can imitate the bark of a dog and the meow of a cat. They have been taught to speak and to whistle tunes. Some persons catch starlings and keep them as pets, even as others keep parrots or parakeets. They can provide fascinating entertainment. Although in some places starlings may be considered invasive, they do have their redeeming characteristics. Starlings are indeed remarkable birds.